Google, the most popular search engine worldwide, provides web surfers with an easy-to-use guide to the Internet, with web and image searches, language translation, and a range of features that make web navigation simple enough for even the novice user. What many users don't realize is that the deceptively simple components that make Google so easy to use are the same features that generously unlock security flaws for the malicious hacker. Vulnerabilities in website security can be discovered through Google hacking, techniques applied to the search engine by computer criminals, identity thieves, and even terrorists to uncover secure information. This book beats Google hackers to the punch, equipping web administrators with penetration testing applications to ensure their site is invulnerable to a hacker's search. Penetration Testing with Google Hacks explores the explosive growth of a technique known as "Google Hacking." When the modern security landscape includes such heady topics as "blind SQL injection" and "integer overflows," it's refreshing to see such a deceptively simple tool bent to achieve such amazing results; this is hacking in the purest sense of the word. Readers will learn how to torque Google to detect SQL injection points and login portals, execute port scans and CGI scans, fingerprint web servers, locate incredible information caches such as firewall and IDS logs, password databases, SQL dumps and much more - all without sending a single packet to the target! Borrowing the techniques pioneered by malicious "Google hackers," this talk aims to show security practitioners how to properly protect clients from this often overlooked and dangerous form of information leakage. 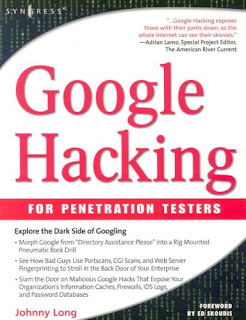 First book about Google targeting IT professionals and security leaks through web browsing. Hat 2004 Briefing. His presentation on penetrating security flaws with Google is expected to create a lot of buzz and exposure for the topic. Johnny Long's Web site hosts the largest repository of Google security exposures and is the most popular destination for security professionals who want to learn about the dark side of Google. 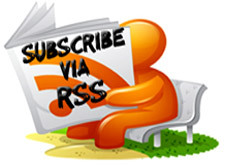 how to get into the control panel of a website using google hacking?